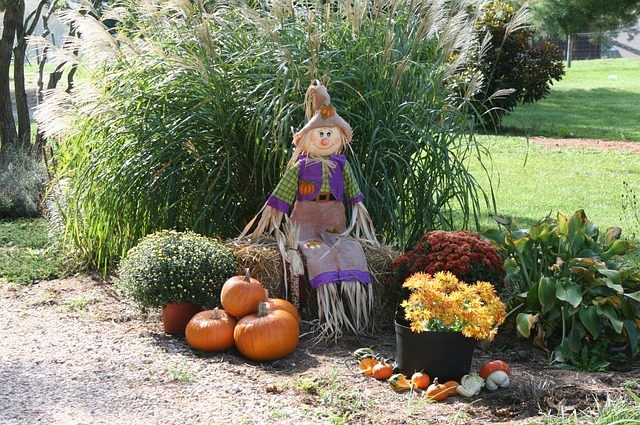 Fall may seem like the end of the planting season but there are still many good projects to work on. In this article from Douglas County Local Food we will talk about planting garlic, how to protect plants from an early frost, starting a compost pile and using vegetables for displays. Share your ideas and let’s get busy! Make a “map’’ of this season’s garden layout. You will want to rotate the plot to avoid planting families of crops in the same place as last year (i.e. – tomatoes, potatoes and eggplant are all in the same family, so rotate those locations next year to avoid pest problems). Take advantage of growing high nitrogen feeders next year where the legumes were planted this year (Grow spinach where the bush beans had been planted). Keep a record of the vegetable varieties you tried this year. How did they stand up against pests? Did the yield match your expectations? Remove all dead and dying plant material from your plot. This will help break the disease cycle and over wintering habitat of insects and weeds. This organic matter may be composted in a HOT compost pile. If it is unlikely that your pile is hot enough, place the material in a black plastic bag and let it liquefy in the sun. Or, pile dead material in a separate pile a good distance from your garden and compost pile. These measures can help break the disease cycle. The tomato cages, trellises, stakes and other plant supports and pots should be removed and cleaned with a 10% bleach solution before being stored. Organic mulches can be tilled into your garden soil in the fall. This may be straw, leaves, sawdust, grass clippings, all adding valuable organic matter. Now is an excellent time to pull a soil sample from your garden! This is recommended every 3-4 years. ¨ Please look at the UW-Madison Soil Test Lab website (uwlab.soils.wisc.edu) under home/urban lawn and garden test. You will receive your results this fall and be ready to add any nutrients in the spring. Finally, make this the year to clean and store your garden tools properly. Remove caked on dirt from shovels, hoes, and cultivators with a stiff brush or forceful spray of water. Use a steel wool brush to rub to a shiny and clean surface. Then spray with a petroleum based lubricant and rust inhibitor such as a WD-40. Wooden handles should also be cleaned and wiped with a boiled linseed oil product before storage. 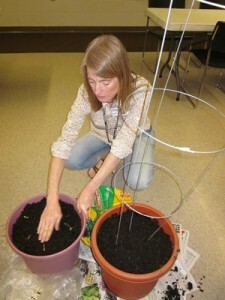 Your Horticulture Educator is Jane Anklam. Jane can be reached at 715-395-1515 or jane.anklam@ces.uwex.edu. Visit us often and let us know if you have any horticulture ideas, problems, or questions. You will be able to select the email lists and topics you want to receive. You will also be able to manage your subscription(s) and unsubscribe.